February 21, 2017 - Like us now! 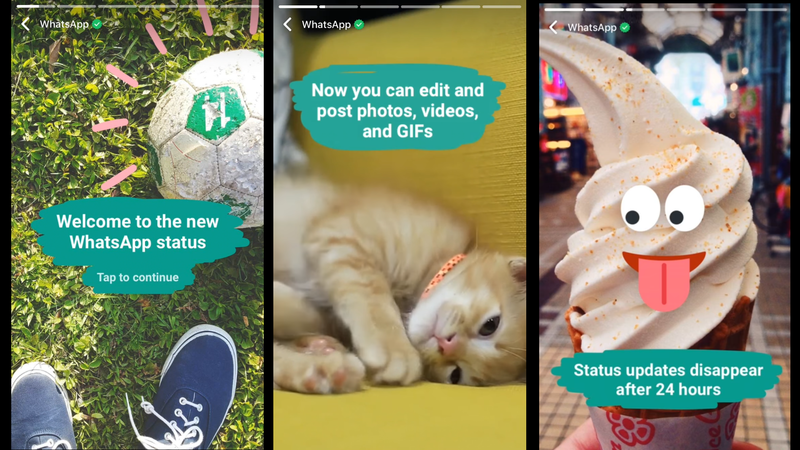 WhatsApp launches an updated version of “WhatsApp Status” which resembles Snapchat and Instagram Stories. 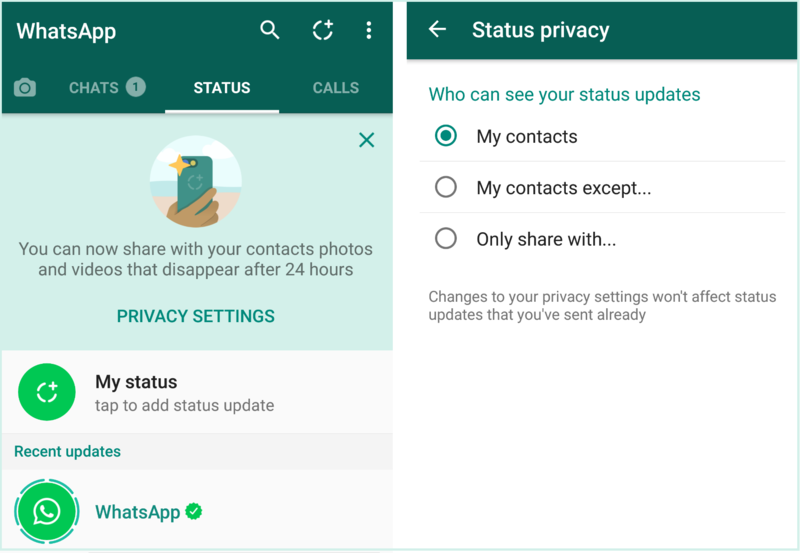 The revamped WhatsApp Status allows users to share picture, videos and GIFs that last for 24 hours. Previously, WhatsApp had “text-only” functionality. 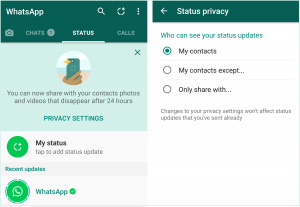 The distinguishing feature of WhatsApp’s revamped Status is that it will be fully encrypted to ensure the security. 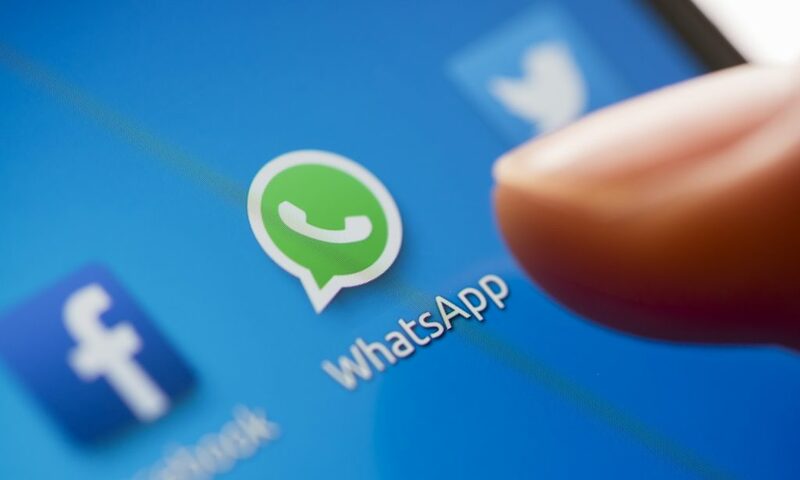 WhatsApp has also introduced two-step verification recently. Snapchat was the first of all social media to launch ephemeral stories three years ago and billions of people use this feature. 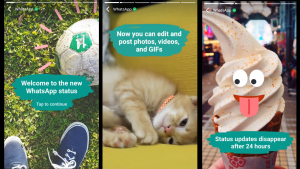 Another Facebook-owned platform, Instagram, introduced Stories last year and more than 150 million Instagrammers have used this feature since its inception. Facebook is also testing ephemeral Stories feature that will appear at the top of News Feed. 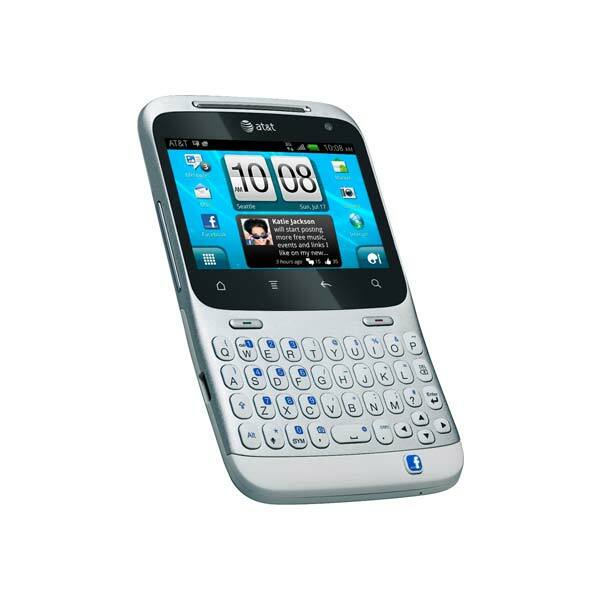 The interface is redesigned to incorporate a camera button in addition to Status, Chat and Calls tabs. In privacy options, you can choose the audience for your stories. 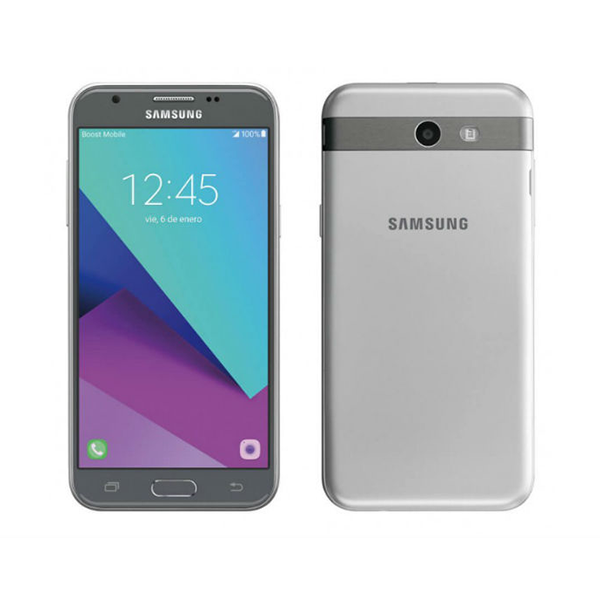 The feature has slowly started rolling out to all Android, iOS and Windows devices. Keep checking your app for the update.